Hello all! I got a chance to attend the Florida Writers Conference this weekend and it was GREAT! There's something to be said about being around "My People!" I met so many wonderful writers, and in the coming weeks I'll be posting what I learned in the workshops. In the meantime, here's another round of opportunities. And please forgive me, but I only have a short list of contests today. I've got a million things going on this week and I'm sick! You understand right? They are looking for short shorts, short stories, essays, memoirs, photo essays, graphic stories, all forms of literary non-fiction, and excerpts from longer works of both fiction and non-fiction. Entries must be previously published and should be no longer than 15,000 words. First prize will win $500, second prize will win $200, and third prize will win $100. Ten finalists will also be chosen and awarded $25 each. The entry fee is $15 and the contest deadline is December 31, 2010. Visit the website for official rules. Submissions must be original and previously unpublished works of fiction that total no more than 7500 words. 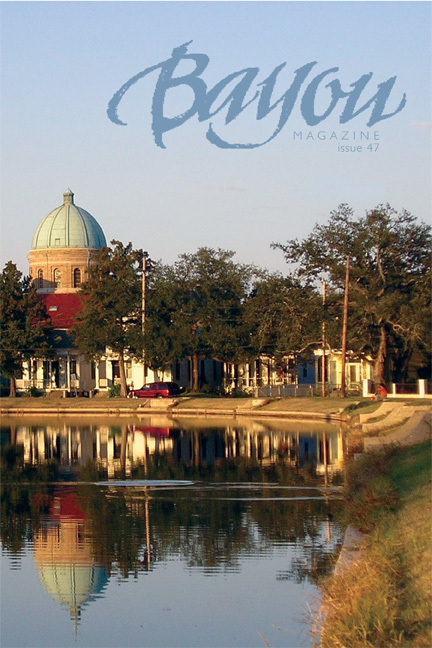 One winner will receive $500 and publication in Bayou Magazine (The literary magazine at The University of New Orleans). Entry fee is $15 and the contest closes on December 31, 2010. See the website below for guidelines. Nightboat books is looking for submissions of for the 2010 Nightboat Poetry Prize. The winning poet will receive $1,000, a standard royalty contract, and 25 free copies of the published book. Finalists will be considered for future publication. Please submit only unpublished, original work. Entry fee is $25 and the contest closes on November 15, 2010. Don't forget about the Black Fox Literary Magazine's fiction contest going on now! I'll probably remind you about this until the deadline (Hey, I have to look out for my own!). Good luck and Happy Writing! Thanks for the info, buddy :) And you keep right on plugging that Blackfox- ain't nothing wrong with that! BTW- hope you feel better soon. Oooh thanks for the list :) will have to have a squizz over those! Very useful, as always. :) Get better! Ooh! Thanks! What a great little assortment of contests!